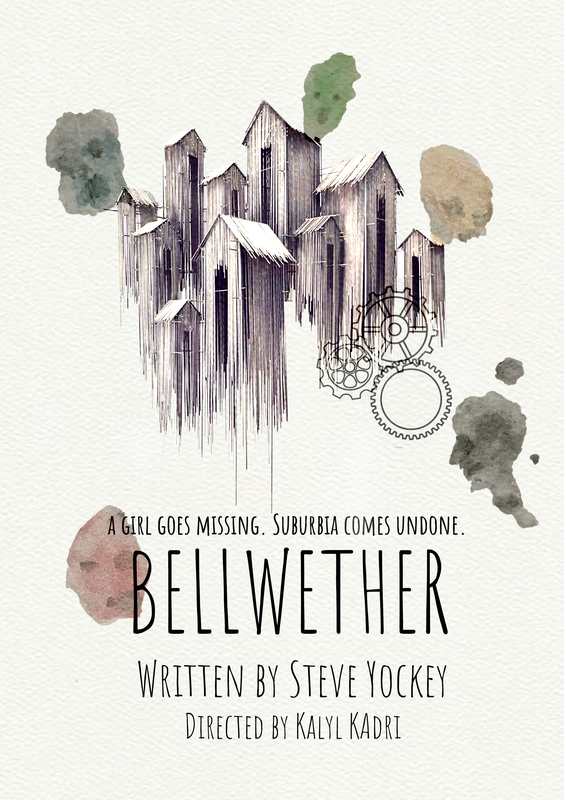 Steve Yockey's 'Bellwether' is a chilling indictment of human society and the media's frenzied pursuit of fear-based "news" - that, and much, much, much more. After 2 long years on East 15's MFA Theatre Directing course, a couple of international directors have teamed up to showcase their work in London this summer, instead of on campus for the first time, and we need your help bringing it to life! I felt that the culmination of my 2 years of hard (but always fun) work deserved to be as professional of an experience as it could be for everyone involved, and a home that was a little closer to London's thriving theatre scene than East 15's campus is. So here we are, all booked in to perform at Stockwell Playhouse, a beautiful Off-West-End theatre on July 18th & 20th at 7:30pm! The 'Bellwether' family is made up of international theatre practitioners from different corners of the world. The team is composed of E15 students & recent graduates who are driven to bring this thriller to life for the first time ever to a UK stage. Kay Kadri (Director) is a Brazilian/Lebanese theatre practitioner who will be graduating from E15's Postgradute directing program this summer. He's been trying to push theatrical boundaries these past 2 years in the UK, refusing to put his work in a box. His methods are experientially experimental, and dabbled in immersion and interaction. He hopes to bring some of these elements to his ambitious vision of 'Bellwether'. Klay Brackney Wanderlear (Assistant Director) brings the heat all the way from Arizona, and a meticulous approach to theatre that balances out Kay's experiemntal tactics. As well as AD, Klay will also be light designing the show! Being someone who has a hard time reading scripts and gets bored in the theatre easily, you can imagine how suprised I was to find that I had finised my first reading of Yockey's 'Bellwether' in one, fast, adrenaline-rushed sitting. Get comfortable with the edge of your seat, you're going to be there a lot. By page 10, I was already certain that I wanted to direct this show. By the end of Act I, my 'want' quickly transformed into a 'need' to bring this script to life. You rarely see mystery/thrillers on stage, let alone ones that are well executed. Steve is a peculiarly brilliant author whose storytelling takes on a mythical larger-than-life form that creates an immediately enaging playing area for the cast and creative team to work and build in. In order to keep the secret of 'Bellwether' intact, I had to withhold most information about the script from the team until they were 100% on board, and they are now sworn to secrecy! I am lucky enough to be working with a group of extremely generous and talented cast & crew have agreed to be a part of this project regardless the fact that we are currently working without a budget. This is where you can help our passionate group not only have the london premiere we are hoping for, but also allow us to do justice to the script and give the professionals that are currently involved in the creative process at least a fair payment. Did I mention you'd also be doing yourself the biggest favour by helping create a show that you can come watch and absolutely love?? Our minimum goal will only pay for our set and costumes, as well as a fair fee to the designers. This will mean that the cast won't be paid except for an even share of the ticket sales. We're striving to have rewards that are just as unusually interesting as the show is. Have a look below and see if anything calls out to you! ....And we know we said you don't need to give money to help us, but we'd love it if you did! Please sponsor us and help make this happen! The Social Neighbor: We'll give you a shout out on our Facebook page, and let everyone know what a great Neighbor you are! The Friendly Neighbor: Get an awesome pin with one of the watercolor faces from our poster, and a Facebook shout out! The Cool Neighbor: Along with an awesome 'Bellwether' pin, we'll also send you a print of our poster signed by the cast and crew! The Generous Neighbor: Thank You so much! We'll have a special thanks for you in our program, as well as a 'Bellwether' Pin and a poster signed by the cast and crew! The Amazing Neighbor: You are too kind! Thank you so much for taking the show farther! You get you a stylish 'Bellwether' tote bag, as well as a special thanks in the program, a signed poster, and a pin! Our Favorite Neighbor: That says it all! 4 tickets to the performance date of your choice with a backstage tour and a meet & greet with the actors! We'll also throw in a 'Bellwether' Tote bag and a pin, a special thanks in our program, and a signed poster! Because you're our favorite Neighbor!